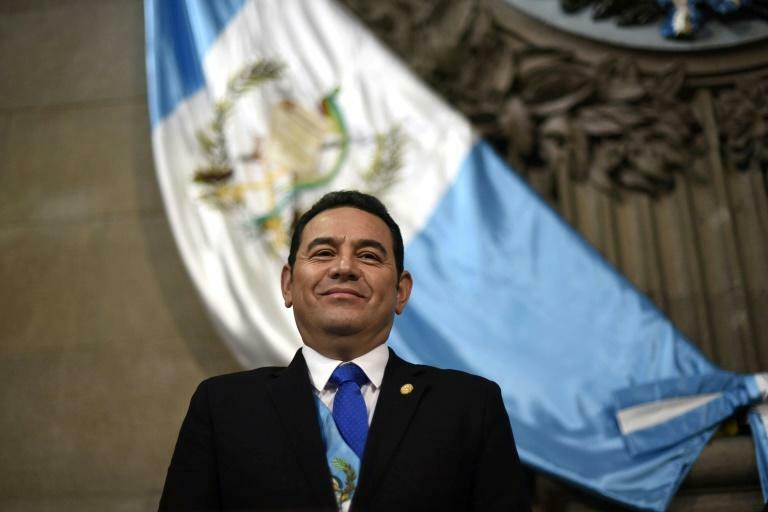 Guatemalan President Jimmy Morales "is not an ally" in combating corruption, his country's chief prosecutor said Monday, deepening a shadow cast across him for suspected illegal campaign financing. "I don't see the president of the republic as an ally in the fight against corruption," prosecutor Thelma Aldana told reporters. Her comment came a day after Morales, in a new year's address to the nation, stressed that transparency was one of his priorities in office. "It seems to me that his speech went beyond the reality," Aldana said. She recalled protests and political turbulence triggered by Morales in September last year when he tried to kick out the Colombian head of a UN-backed anti-corruption body working in Guatemala, after it started scrutinizing the suspected illicit funding of his 2015 election campaign. After a backlash by the judiciary, Morales was forced to back off the move. Protests have since taken place demanding he step down because of the accusations against him. Morales, a 48-year-old former TV comic, took office in January 2016 -- vowing to clean up Guatemala's notoriously shady politics. He succeeded Otto Perez, who had to step down when a corruption scandal implicating him exploded into street protests and ended with him in jail pending a trial. Congress has held two votes on whether to withdraw Morales' immunity to allow the investigation against him to go ahead -- but each time the motion has failed to gather the 105 votes necessary. "We need for whoever runs the country to truly commit with action and not words to the fight against corruption," the prosecutor said.